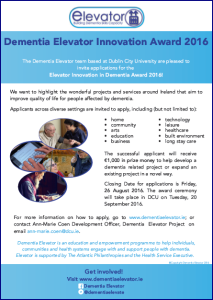 The winner will be announced at the Dementia Elevator End of Project Exhibition which will take place in the Helix, DCU on the 20th of September 2016. Last year’s winners are pictured above. The closing date for applications is 5pm on Friday the 26th of August 2016. The application form can be downloaded here: Elevator Innovation Award Application Form 2016. 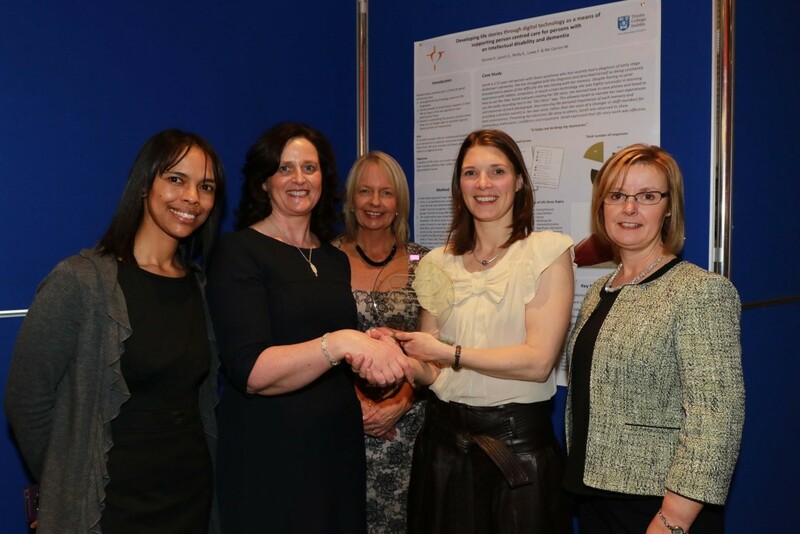 You can view and download the 2016 Innovation Award Poster below.